The start of a brand spankin’ new series based on one of #SharingItForward’s core principles, artist collaboration! I am so excited to announce this new #SharingItFoward Artist Collaboration Campaign and Print Series. In the coming months, I will be releasing artworks, all of which, are collaborations with some of the top photographers in the field of conceptual portraiture. Demonstrating just how powerful collaborations can be in stretching our creativity and deepening our marketing reach. I say it all the time. Artists NEED each other. Wither you are a painter or a photographer… So I’m putting my money where my mouth is! 🙂 This series is a true representation of what #SharingItForward is all about: sharing knowledge and pooling resources. Help spread the #SharingItForward mentality! Everything I know and have learned has been shared with me by amazing artists and photographers willing to share their knowledge and expertise. I am, in turn, sharing it forward to other artists and photographers. It’s like “pay it forward” but there is no money involved. We don’t pay. We share. Have some information and resources you are willing to share with other artists and photographers? Share on the Lady Caroline facebook wall for other artists and photographers to use! 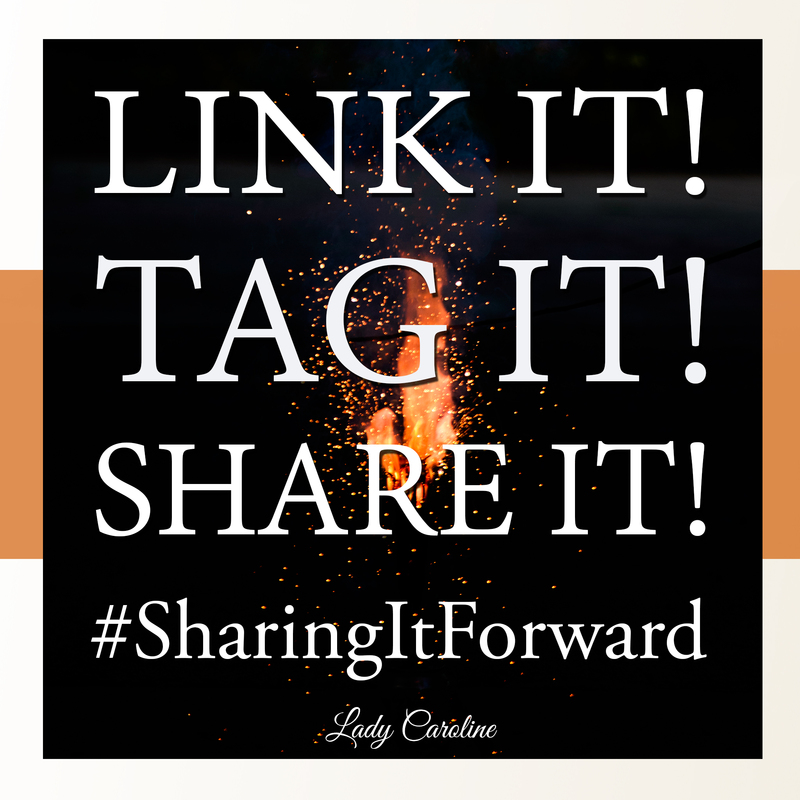 Be a Part of the #SharingItForward movement! have their business, social media, portfolio and the resources they shared featured right here on the #SharingItFoward blog! Start linking, tagging and sharing! The winner will be chosen Sunday, May 31st! 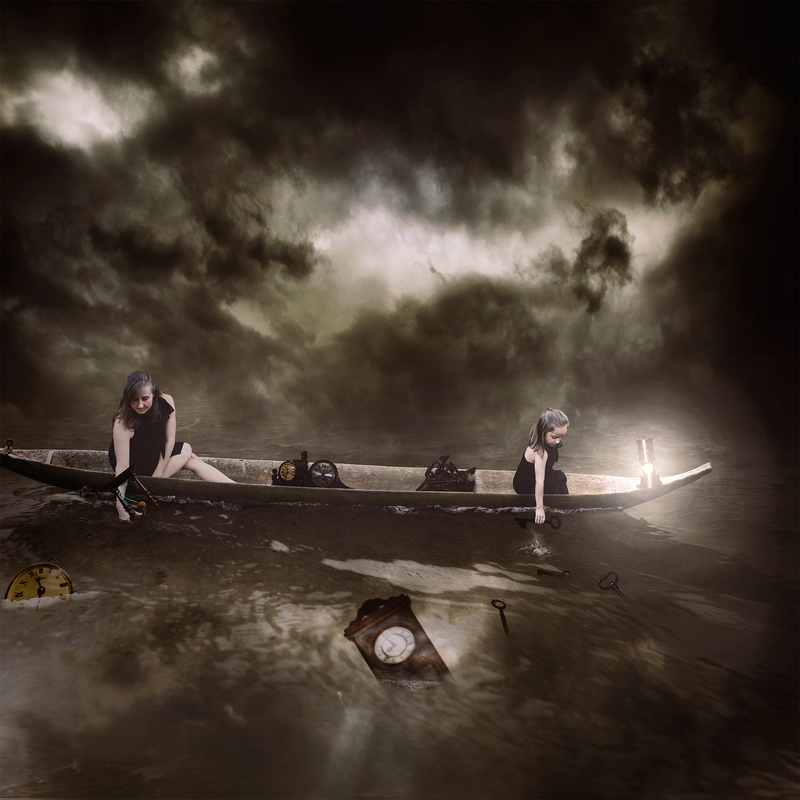 This inaugural artwork is an artist collaboration with two amazing conceptual portrait artists, Gemma Wood and Nain Leon. This particular collaboration came about as a part of a team challenge in an artist group we are all a member of. I thought I would hate look at and edit myself but actually it’s not nearly as bad as I thought! You can view Gemma’s portfolio on her Website here! Nain Leon – Nain is a young freelance photographer from Mexico City, Mexico and currently resides in San Antonio, Tx. He has a beautiful traditional portrait style with a great artistic flair. His wonderful portfolio of images can be viewed on his Facebook. This project was really fun and I even learned some Spanish terms I didn’t know before. When I sent Nain the Photoshop file it was all in English. He sent it back to me in Spanish… HA! When I opened the file I kept looking for folders in English. Thanks to Nain, I now know Horloge is Spanish for clocks! I enjoyed working with Nain! He was wonderful and helpful. Want to receive more opportunities like this? REGISTER HERE to receive all the free unrestricted stock, blog posts, tutorials, tips and tricks delivered right to your in box so you don’t miss a thing! All community members will receive a free stock pack of Butterflies you can use freely in your conceptual portraits. No restrictions.